Although the speed of browsers is currently judged by benchmarks such as SunSpider and V8, there have been rumblings for some time that they do not represent a 'fair' test. Now, Firefox maker Mozilla has launched Kraken, and is hoping that it will become a popular industry benchmark. "We believe that the benchmarks used in Kraken are better in terms of reflecting realistic workloads for pushing the edge of browser performance forward," explained Mozilla's Rob Sayre. "These are the things that people are saying are too slow to do with open web technologies today, and we want to have benchmarks that reflect progress against making these near-future apps universally available." 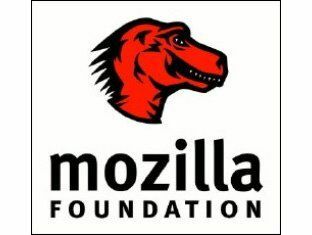 Mozilla aims to launch Kraken and continue to build over time, and the software will be open source. "We think Kraken is a step in the right direction," added Sayre's blog. "Kraken will evolve quickly over the coming weeks and months as we build out its test suite and continue to push forward the capabilities of the open web, as we make the workloads more realistic and varied. "Of course, as with everything we do, Kraken will be free and open source and we welcome contributions and participation from the wider community." The first result from Kraken is published, as you would expect, comparing Firefox 4 to Firefox 3.6 – and you also won't be surprised to find the result is favourable – with the former 2.5 times faster than its predecessor.